Digital dentistry represents an exciting new frontier for prediction of restorative outcomes. 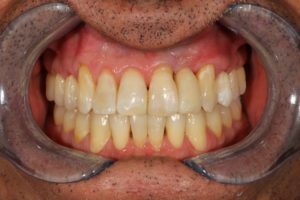 In Part 1 of this series, Dr. Catalano described how the general dentist can use Invisalign to predict what restorations a patient will need after orthodontic treatment. He introduced a case with digital rendering of the outcome beforehand. If you are not familiar with Invisalign, the process involves either making PVS impressions or digitally scanning the patient’s upper and lower arch. You also take photos and guide Invisalign about the case goals. 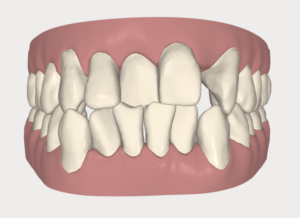 Once Invisalign processes this information, they are able to create an animated “before” image of the teeth. With the dentist or orthodontist’s guidance, they create an “after” image of the patient’s smile. There is a back and forth relationship with the Invisalign technician where you finalize the desired smile. One tool that is crucial to the restorative dentist in restorative/orthodontic cases is Invisalign’s Bolton Analysis Tool. It is essentially a tooth width analysis. Invisalign’s version is done digitally. Invisalign creates this digitally and you can get the widths of teeth in an instant. No more rulers! 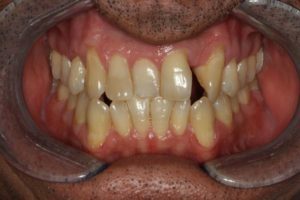 For John’s case, I had to see if I could correct the crossbite, open the left lateral space matching the width of the right lateral incisor, and achieve the esthetics and occlusion desired. With the Bolton Analysis tool, I knew the exact amount of space needed to match the opposite lateral. Because the 3D animation predicted a successful outcome, I proceeded with treatment. Total treatment time in Invisalign was 2 years. A Straumman implant was placed in the left lateral space. Gold Dust Dental Lab fabricated the implant abutment and crown. A few composite restorations and an overall finishing polish were completed. The patient was overjoyed with the end result. Digital smile design is our future because it adds the extra tool of simulating an outcome before we even start a case. 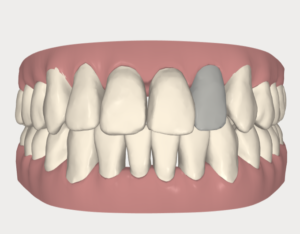 What advances do you hope to see in digital dentistry technology? Let us know your thoughts in the comments!